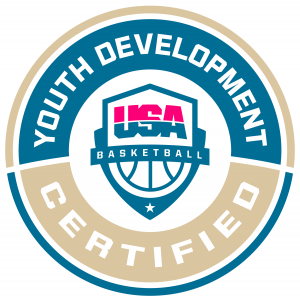 You are here: Home / Austin Youth Basketball Blog / Basketball Periodization and You! For most athletes year-round training has become a pinnacle part of the preparation cycle. Periodization has multiple definitions depending on who you’re talking to. Typically, it is broken down into macrocycles (season or multiple years) that include preseason, in-season and off-season. These are then further broken down into mesocycles (several weeks or months) such as transition period, preparatory period and competition period. Afonso et al describes periodization as being the theoretical and methodical core concept in scientific based training that gives the layout for exercise prescription. This concept is meant to benefit the athlete in ways of finding appropriate times to hit peak performance. In other words, it’s a calendar with training cycles built into a program to maximize when an athlete peaks. As you can imagine this way of training is traditionally used for Olympic athletes or seasonal athletes. The ultimate goal of this well planned out calendar (other than peak timing) is to prevent overtraining and injuries. This is the type of athlete that is not ideal for this method of training that is shown above. There are no meso and macro cycles that exist for an athlete that is constantly in competition. There is one Macrocycle and it is competition. Every weekend this athlete will need to be at peak performance. This greatly exposes athletes to overtraining and injuries. Ultimately the goal of training is to avoid that isn’t it? When an athlete is no longer able to adapt and recover from the physiological loads placed on their body. That may eventually lead to burnout or injuries. The exact cause and full impairments that occur during this change in someone’s body is not well known. When periodization doesn’t fit your lifestyle what do you do? The answer is quite simple! Sport specific personalized training with an emphasis on injury prevention, nutrition and performance enhancement. You can create your own schedule and train based off of game and practice dates and times without worrying about meeting a timeline of a meso or macro cycle. This type of training is built off of YOUR specific needs as a basketball player. Whether it be addressing previous injuries, increasing your vertical leap, providing a solid foundation of core and hip stability, speed and agility, vision training and the list goes on. From a biomechanical stand point there is no greater benefit to have someone cueing you as you train through ranges of motion on proper technique. Also, many periodization programs are based off on 1 rep maximum. What if you can’t perform the exercise properly in the first place? Why would I have you test at a weight when your technique and range of motion is lacking? These are all components that typically lack in periodization programs. Strength is NOT built in the gym. Strength IS built while you sleep. This concept is very hard for athletes and coaches to understand. Physiologically muscles are torn down in the gym. Shredded, pulled apart and weak. This response is highly catabolic to the muscle tissue. Which is why when you exercise at a certain threshold blood is shunted off to the damaged tissue attempting to repair it and make it even stronger than before aka SWOLE. This process of rebuilding begins approximately 30 minutes after you have completed your workout. Hence why everyone talks about taking your post-workout supplements with in that small window. If the proper nutrients aren’t there to repair the tissue you will remain broken down, become inflamed and eventually injured. This is why recovery builds muscle. My point to all of this is to try and shift the way people address recovery and to accentuate the importance of proper sleep and nutrition. No sleep is not for the weak. It’s for the elite. For the purpose of this article I am going to focus on sleep but without these two major components overtraining and injuries will present themselves, it’s only a matter of time. This component also needs to be personalized. Not everyone needs 8 hours of sleep. Some need more, some need less. There is approximately 5% of the population that can genetically perform at the top with only 5 hours of sleep. With that being said the other 95% of the population falls under the category of 7-12 hours like this list of elite athletes below. The top performing athlete needs to be in tune with their body. Our bodies are very intelligent and give us key signs letting us know when something is wrong. Just like the pain response after getting injured. If you didn’t have a pain response your ankle could be broken and you would never know it. The same goes for hormone imbalance, nutrient deficiencies and so forth. This is essential to preventing overtraining. If you are exhausted, inflamed and aren’t sleeping, it is so important to address that as early as possible. This sounds cliché but this exact scenario is what led to me getting injured time and time again. I pushed it off and eventually suffered the consequences one to many times. Let an activity far from basketball become your outlet. No playing 2K on your Xbox is not an outlet from basketball. For example, my outlet is hiking and camping. These activities help me come back to balance with myself. This is not talked about enough and can become an integral part of becoming an elite performer. Try to pick things that reduce stress and can allow you to get outside and soak up some vitamin D. It only takes 15 minutes of direct sunlight to get the allotted amount of vitamin D. This is especially important for an indoor sport such as basketball. Afonso J, Nikolaidis PT, Sousa P, Mesquita I. Is Empirical Research on Periodization Trustworthy? A Comprehensive Review of Conceptual and Methodological Issues. Journal of Sports Science & Medicine. 2017;16(1):27-34. Lorenz D, Morrison S. CURRENT CONCEPTS IN PERIODIZATION OF STRENGTH AND CONDITIONING FOR THE SPORTS PHYSICAL THERAPIST. International Journal of Sports Physical Therapy. 2015;10(6):734-747. Kreher JB. Diagnosis and prevention of overtraining syndrome: an opinion on education strategies. Open Access Journal of Sports Medicine. 2016;7:115-122. doi:10.2147/OAJSM.S91657.